This cute tiger's tail is perfect for fancy dress. 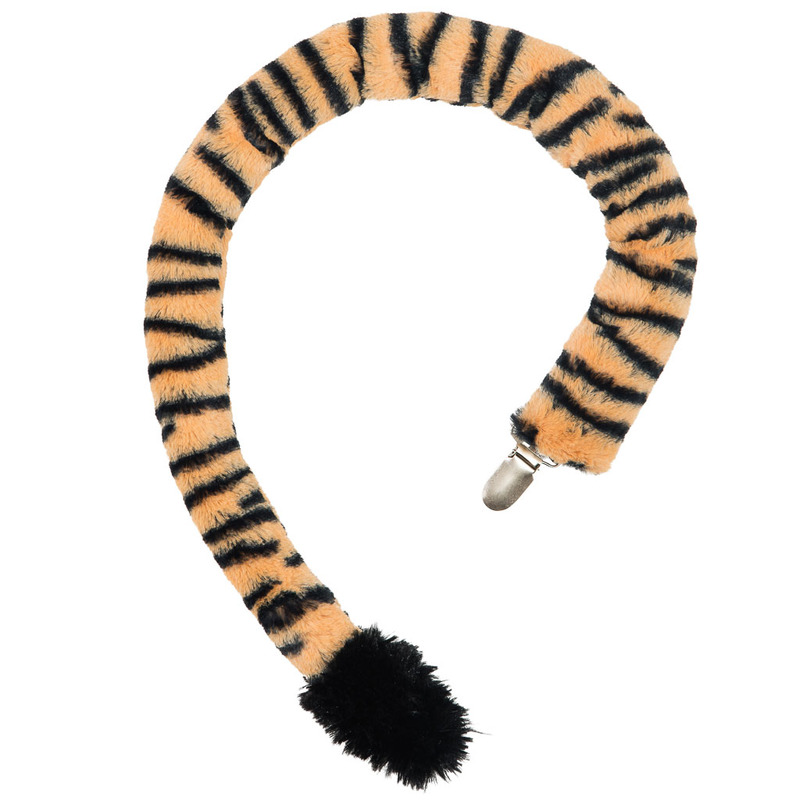 Made from fluffy faux fur, this lifelike tiger tail is an easy and fun way to dress up as a tiger. Easy to buy. Fast delivery and so nicely wrapped I gave the present as it was! My 4 year and 7 year old sons love them. Lots of roaring. Would like to see a Lemur tail available. Lovely product, excellent quality, soft and bigger than expected. Fast delivery and carefully packaged. Bought for Xmas for daughter who is 2 & 3/4 along with the tiger ears headband, which I think she will love. Came beautifully wrapped (but with price tag inside!) so it was a bit heartbreaking to open it to check first. Agree with other reviewer that a ring-tailed lemur tail would be great too! Great quality tail - my daughter loved being a tiger on Christmas day. Bought this for my granddaughters fifth birthday. Quality of the tail is excellent and the packaging was superb. Granddaughter hasn't received it yet but I know she is going to be thrilled with it. Thank you ZSL.